The HDI Product range, normally used on excavators, scrapers, dump trucks, wheel loaders and other heavy-duty off-road vehicles and is designed to improve vehicle and chassis bearing life and vehicle reliability. 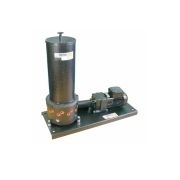 HDI pump is an electrically operated piston pump, fitted with a 12/24v DC controller, which can be used with up to three pumping units. 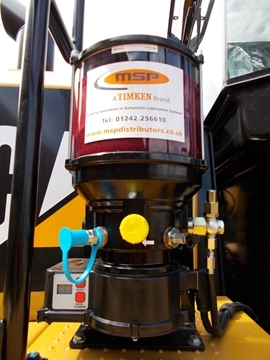 Available with 3, 6 9 litre reservoirs, delivering precise amounts of lubricant through progressive distribution blocks, providing the user with lubrication point versatility and reliability. Please send me more information on HDI GREASE PUMPS FOR LOADING SHOVEL APPLICATIONS.